In-N-Out Burger uses only quality, fresh ingredients, and that means no frozen, prepackaged, or over-processed anything in sight. Because of this, their food is exceptionally tasty, and one of the first things tourists flock to when they visit the West Coast. With their incredibly bare classic menu, newcomers often miss out on some of the greatest things In-N-Out has to offer. 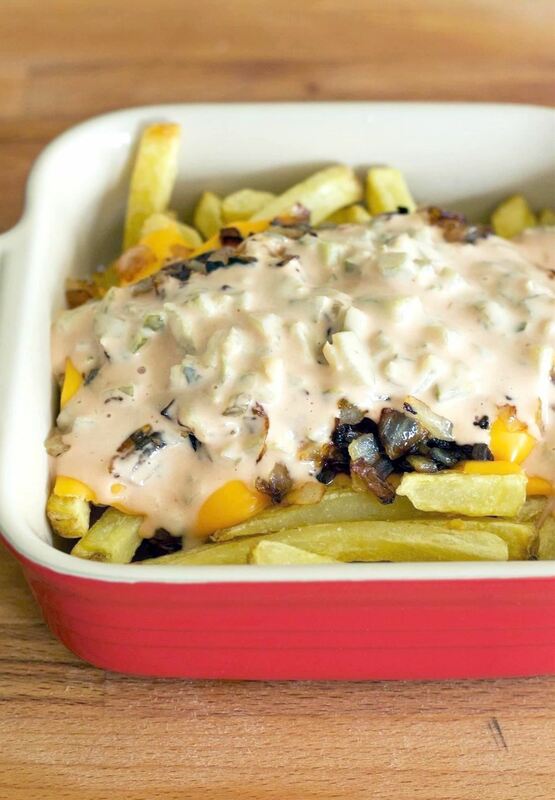 In addition to the not-so-secret menu, there's the super secret menu, which includes a personal favorite—the infamous and ever-so-tasty Animal Style fries. Thankfully, the chain recently opened their first location in our state of Oregon, but prior to that, we were two born-and-raised-in-California kids with a hankering for our beloved burger joint's French fries. So we learned how to replicate the recipe of these somewhat tangy, always creamy and cheesy, favorite in our own kitchen—and here's how to do it! While you can definitely make your own fries at home to keep to In-N-Out's fresh, unpackaged, and unfrozen ethos, we're going to take a shortcut and go frozen. We went with Alexia Yukon Select Fries, since their julienned shape is similar, and they're all-natural and organic. 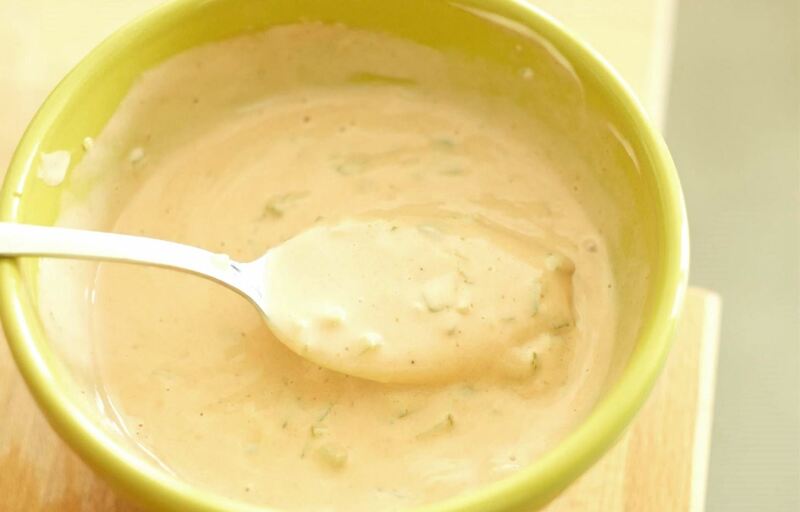 Combine the mayonnaise, ketchup, pickles, salt, and vinegar in a small bowl and mix. Set aside. Bake your frozen fries as directed on the package. If you'd like, feel free to give them a sprinkle of sea salt. If you're going the homemade route instead of frozen, fry them in vegetable oil, since that's what In-N-Out uses. Don't Miss: Which Pans Are Best for Deep Frying? 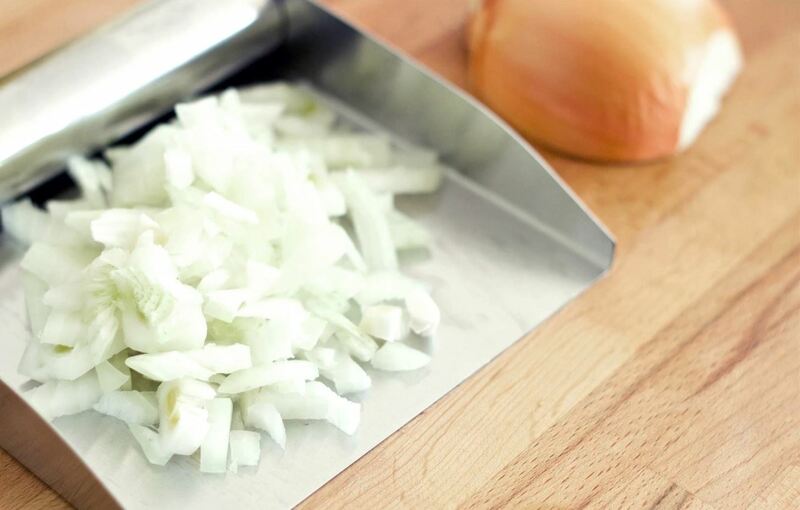 Fry your onions in canola oil until browned for about 8-10 minutes, continually stirring over medium-high heat. 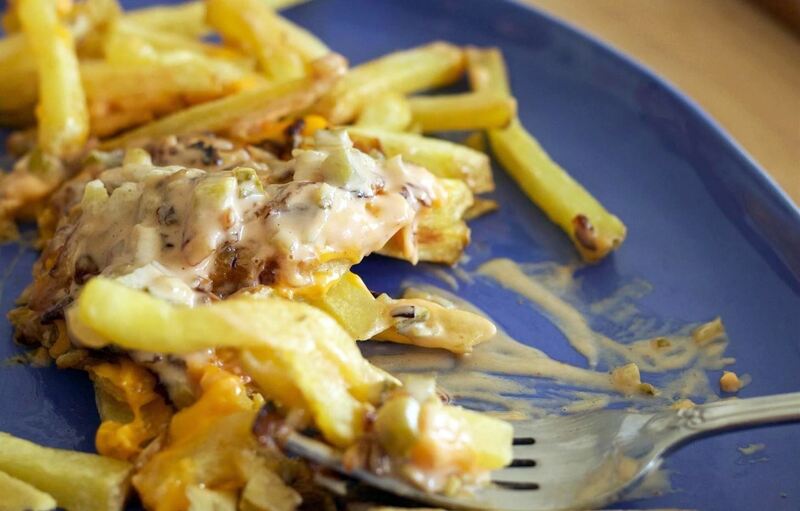 When the fries come out of the oven (or fryer, depending on which route you took), place the cheese over them and allow it to melt. If needed, pop the dish back in the warm oven for a moment to get the cheese extra gooey. 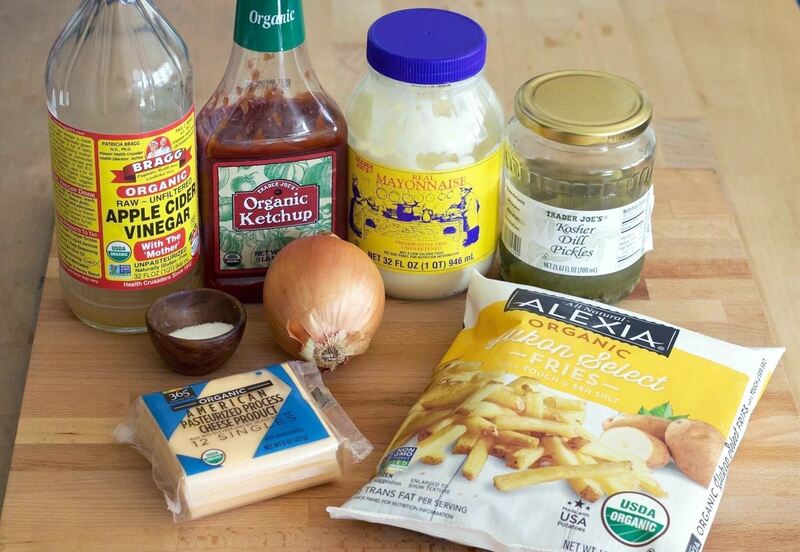 When the cheese is melted, top your fries with the browned onion followed by the secret sauce. Serve quickly, so it's still nice and hot. 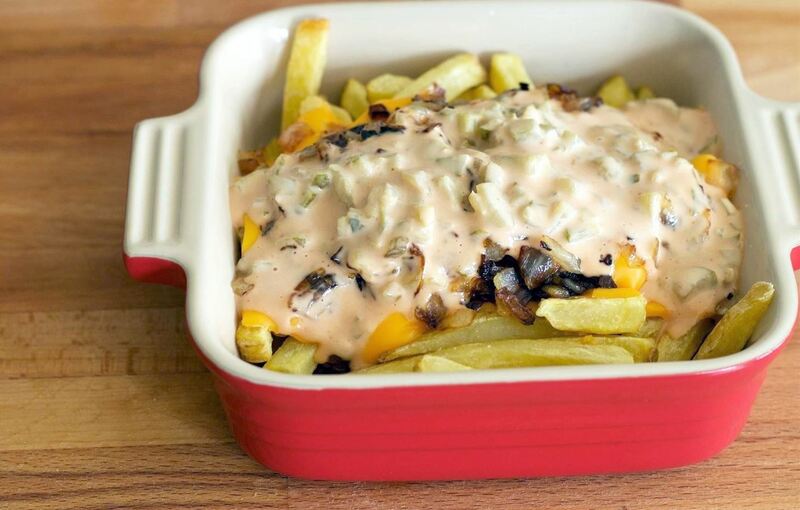 Regardless of where you find yourself regionally, you can now recreate one of the West Coast's most loved items, In-N-Out Animal Style French fries, in your own kitchen.